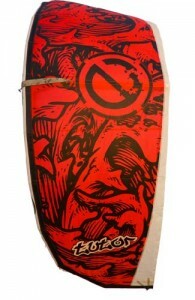 Already in the end of the winter 2011 a new snowkiting freeride brand was born – IKON Kiteboarding. IKON got quite some attention over the world, but the reviews have been absent. Luckily we got a hold of the collection of IKON’s snowkites. 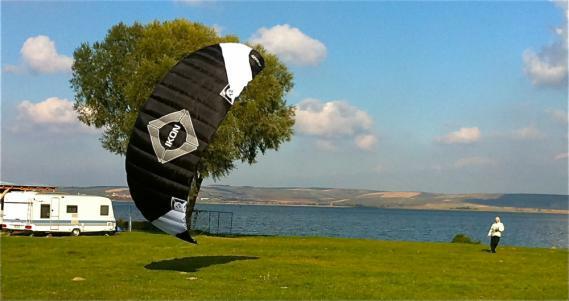 Said to be a snowkite, you can still ride it in water, so the following review is based on tests with IKON’s snowkite, but performed on land and water. Unlike many reviews out there on the net, we will not glorify this kite in our review. The kite itself comes in a backpack, which should be standard nowadays for brands that want to play the market. The bag is equipped with compression strap and the kite is perfectly seated in the bag which is almost as ergonomically designed as any mountain back pack. When it comes to the materials IKON is excellently prepared. Every single piece of the kite and the bar seems to have been manufactured into perfection. Everything is elaborated in detail. The kite is equipped with dacron and reinforcements in the exposts parts. The seams are well done and can compete with the best brands on the market. A little surprise awaits inside the chambers. All ribs which divide the chambers have stitched belts around and crossover the ribs. This stiffens up the whole kite and make the chambers stronger. As a snowkiter or foil kite rider you might know that ruptured internal ribs is quite common and leads to annoying subsequent repairments. 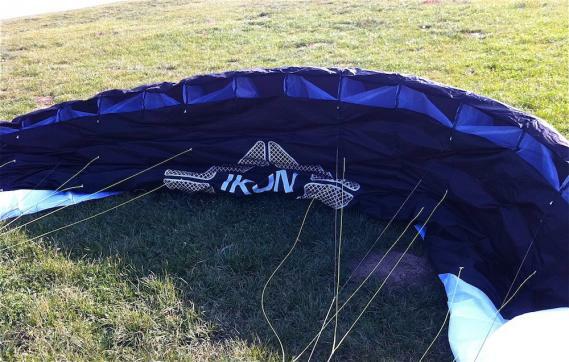 In the IKON kite all ribs are reinforced for maximum durability. Another nice thing with this kite is the HC lines that are oversized, so you do not have to worry about them to much in case you´re flying the kite through sharp ice plates. The depower over the control bar is solved by pulling a red strap and vice versa a black strap to turn it back to full power. The quick release is solved by the the classic red molded piece on the chickenloop, very similar to the system used by Liquid Force. Pull the trigger and the kite falls down. Everything is simple and very effective. Start – to start a kite with an open chamber is a piece of cake. Attract the frontlines and the kite flies up immediately. No trouble with self inflating chambers. Start and go! After the first maneuvers directly overhead you immediately feel the great stability delivered by the IKON kite. You can do whatever you want. I tried to push it over my head in an attempt to front stall the kite, but the Ikon completely mastered everything wonderfully. Another thing that impressed me is the accuracy while flying the kite near the water. The precise and intuitive control is literally addictive issues. I was a little concerned about driving on the water, because every inaccuracy would mean drowning the kite and fill its chambers with water. With the Ikon I could bring the kite down to a few centimeter from the surface. The Ikon passes nicely through the whole wind window with a contant speed that generates power. No stress, no flicker in gusts, light, medium bar pressure, over all a very friendly kite. Literally there is a comparison – IKON is according to my first experience of such quality and performance as the Slingshot chamber kites. Accurate, stable and an amazingly HC kite, which at first glance made it something that would last. Here the Ikon literally thrives. With a narrower profile and a strong lift the ikon will bring you great heights and keep you there as long as possible. With the mandatory and precise control you know exactly where the kite is, therefore allowing you to jump safely. IKON and its internal reinforcement ribs, which prevents ruptures when crashing. RAFAL 12 square meters is exactly what the designers describe it as, a kite for light wind conditions. The kite starts to generate power in just 2-3 m/s which is sufficient power for you to ride on snowy plains. With growing wind power the kite behaves quite smoothly and to ride with it is extremely pleasant. PATROL 10 square meters is a kite that can be used in most of wind conditions. The PATROL is obviously faster than the RAFAL. Thus it is easier to maneuver and to get him to jump in the greater speed. Overall great stability and precision control. If you´re into high mountain freeriding you might wanna get a reliable workhorse that won’t let you down either in weaker or stronger winds. Both the RAFAL and the PATROL have a tremendous stability which also suit unhooked riders who don’t want to ride their inflatable pets in the winter. Either way Ikon’s foil kites are worth a try. At present, these kites have an unrivaled price / performance ratio. 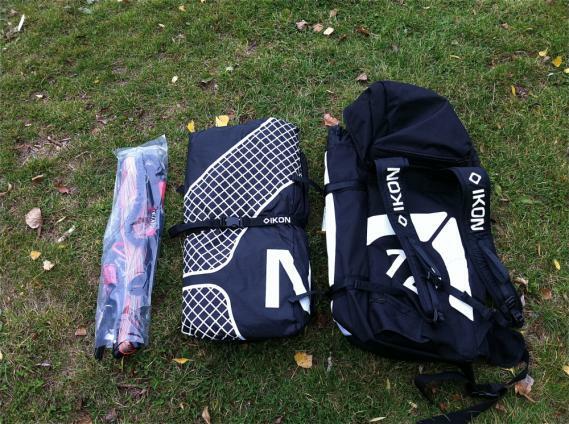 IKON pack – control bar with lines, kite folded and tightened with strap, backpack. A few hints and warnings. When depowering the kite, make sure your kite is left in the sky with some power in it, else you might front stall it. Ikon is so stable that you do not have to worry přelítávání kit from over 12 hrs Feel free to let the kite přelítnoun and he will be in a strong profile back to normal windows. No folding. After your first kite session, pack the kite without disconnecting the lines. Next session, avoid tangled lines and pack up the stuff in no times. 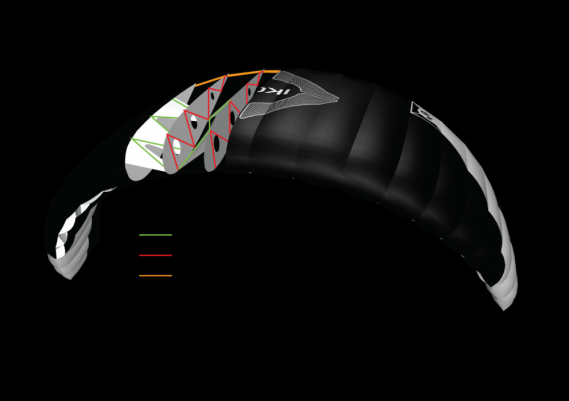 RAFAL 12 has a comparable performance with the same kite design in size from 13 to 14 m2. Do not be fooled by lower-priced kites. Ikon uses a different sales system, so the final price for the customer will be lower. Get the highest quality product for your money. Epic Kites – the coolest kites on the market? 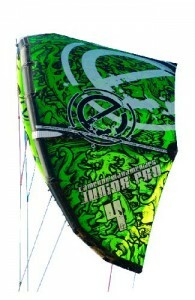 Epic Kites have in my opinion the absolutely coolest kites on the market! Kite manufacturers come up with new designs every year. Their construction and features might be top notch, but when it comes to graphical design, none of them can really compete with Epic kites! 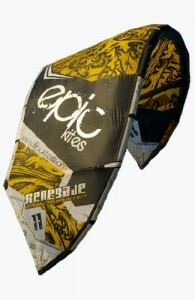 Epic Kites currently have 6 different kites in their collection. Design wise they are all outstanding, just look at these pictures! So what about the quality? Have Epic Kites aerodynamical features and durability that can match Slingshot, Naish, Airush and the other well known kite manufacturers? We did an effort to find out what riders really think about the Epic Kites. Here are some words from riders all over the world! The Screamer is a high-performance kite! If you were thinking that the first kite from a new company wouldn’t be any good, you are wrong. 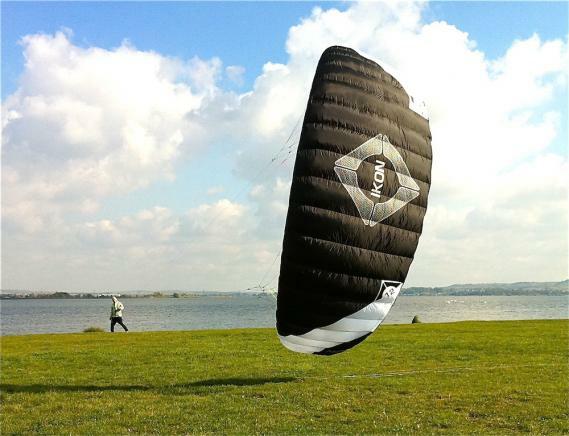 The Screamer flies very far forward in the window, making this one of the best kites we’ve tested for getting upwind. Bar pressure on the Screamer is in the light-medium range. The Screamer flies fast and turns quickly. Hang time on this kite is fantastic. Once you get the timing of this kite down, be prepared to spend some time in the sky. Of course, all of this performance has to have a cost, and that cost with the Screamer is stability. Especially in gusty/shifty winds, pay attention to flying the Screamer when it’s sitting at the edge of the window. 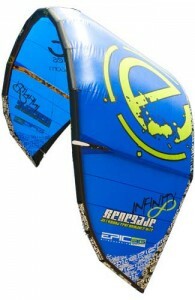 The Renegade Infinity has light-medium bar pressure and turns quickly for a large kite. The power delivery is very smooth and the Infinity holds its power well through turns. This kite has a grunty feel to it and it does generate a lot of power, but the low end is not the best of the different light wind kites we’ve tested. The Infinity sits back in the window and has surprisingly good jumping performance for a kite of this size. The canopy remained very stable on the Infinity, even when depowered. When unhooked on the Infinity, we found it to be prone to back stalling unless you give it a few inches of depower before you unhook. Testing the relaunch ability of large kites in light wind always makes us nervous, but we were able to relaunch the Infinity in about 12 knots of wind with no problems. 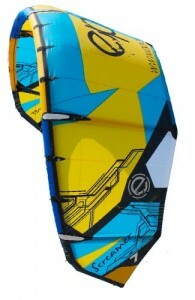 Thekiteboarder.com tested the 9m version of the 2012 Epic Screamer 3G. An upwind and boosting kite. The overall construction is good. This is a great performing kite for jumping but slow turning. Really easy to get upwind when you’re powered up. Really stable in the sky. Fairly slow turning kite, bar pressure a little bit to heavy. 3 of 6 riders would recommend these kite to a friend. The Renegade is the freestyle/wave kite of the Epic kite line that excels at powered Kite Loops, and has ideal depower for waves and smooth, lively, responsive steering. With just three sizes in the kite range, the 11, 9 and 6 m, the Renegade delivers simple and reliable performance in a wide range of conditions and disciplines. 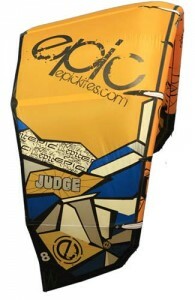 The SBC Kiteboard test team ranked the Epic Renegade as the best relaunching kite. What can I say, the kite fits like a great pair of shoes or gloves. The Renegade 9m was a very fast turning kite, had a lot of steady pull, and was the easiest kite I have ever relaunched in all my 10 years of kiting. I feel that the Renegade will be the best all-round kite for anyone who is getting into kiteboarding for the very first time. It is very simple to use, easy to relaunch, has a very nice safety system and was very simple to set up right out of the bag. I have very short arms, and it was hard for me to reach the trim strap when I had the kite in my hands for the first time. I was shown that it could be made shorter with just simple and very fast adjustment on the chicken loop line. I also like that one bar fits kites from 6m to 14m and can be easily adjusted in seconds. Epic Kites play with open cards and this video shows the factory in China where these kites are made! Thanks Dimitri for the awesome kites you deliver! The Run Smiley Collective: Oh, Go Fly A Kite! 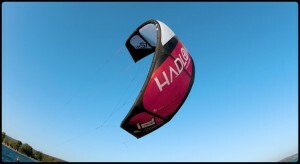 Flexifoil Hadlow ID is Flexifoils new flagship and considering that Aaron Hadlow himself rides with this kite should be proof enough to give this kite top marks! If you read on Flexifoils official site it says (not very surprisingly) that this more or less is a kite with top performances within all aspects. The problem with reviews written by the manufacturers themself is always that they highlight all the positive characteristics of their kite and don’t even mention the bad things and they never compare their own kites with their competitors kites. So in an attempt to give you some objectively information about this kite we put together a list with reviews of the Hadlow kite from surfers with different background. Finally we would like to share this awesome video with Aaron Hadlow!